We at Mid-Columbia Insurance, like every other agency in town or on TV, can insure you if you have a perfect “Mary Poppins” driving record. But, unlike other agencies, we won’t slap you around for having had a run in or two with the law. As a local independent insurance agency, we don’t work for just one insurance company. And since we are not employees of an insurance company, we can provide unbiased, objective advice because no corporate management team is pulling our strings, pressuring us into selling certain products to our clients when others may be more suitable. 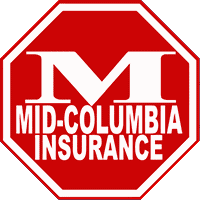 As an independent insurance agency, Mid-Columbia represents a number of insurance companies that offer great rates. We are able to offer great rates if you have collected multiple tickets, had a few accidents, got pulled over for a DUI, or had your license suspended. We even have companies that don’t care if you have poor credit, no credit, or have had a bankruptcy. No matter your situation, Good, Bad, or Ugly, at Mid-Columbia Insurance: We Work For You! We are your Tri-City, Columbia Basin, and Yakima Valley insurance professionals. Bad Credit? – No Problem!